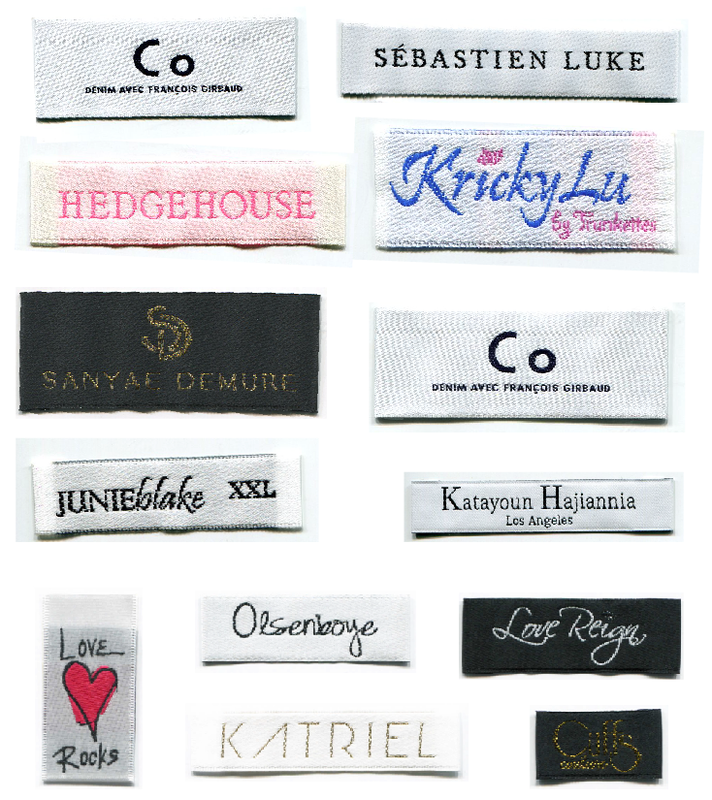 Woven labels are the most popular way of having your brand identity displayed on your garment or products. CLP offers a variety of material & finishes, and can help guide you on choosing what is right for you. See below for more information on what is available. Damask is the most common type of woven label, made up of polyester yarn that has a high quality durable weave that is soft to the touch. CLP offers both regular and high density damask. If you're looking for a nice quality label, not anything fancy, regular damask will do just fine. For a higher end luxurious label, or labels with extremely fine detail, high density damask offers a weave with the thinnest thread option, resulting in a label with the softest feel and shows great details. For labels that are soft but has a shiny look, satin labels would be a good choice. There is not much price difference between satin and damask. Most customer go with this option because of the look they are achieving. Satin labels are great for infant and lingerie apparel, or brands with a vintage look. Keep in mind the background is limited to only white, off-white, and black. If your logo is very detailed & small, this may not be the best option for you. Taffeta is the most economical option and costs less than damask & satin labels. The weave is adequate but the ground color is a bit transparent. Taffeta tends to be scratchy so it is not recommended if the label will be touching the skin. If you're looking for an inexpensive label, this option is great for going on hats, scarves, bags, or for care labels that will be cut off. If your label has care information, a great way to save costs is to have a loop fold where the front half is damask, and the back half is taffeta.